This section describes how to build apps in Unity using the ZED. To build an application with the ZED SDK, you need to make sure the target platform is set to x86_64 in Unity build settings. Set Target Platform to Windows and Architecture to x86_64. If there are no scenes listed under “Scenes In Build”, click Add Open Scenes. Click Build And Run to generate the executable and automatically launch it. 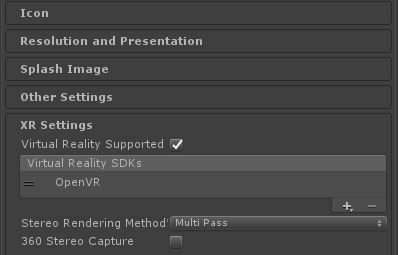 To enable VR support in the Unity Editor, click the Virtual Reality Supported checkbox in Player Settings. 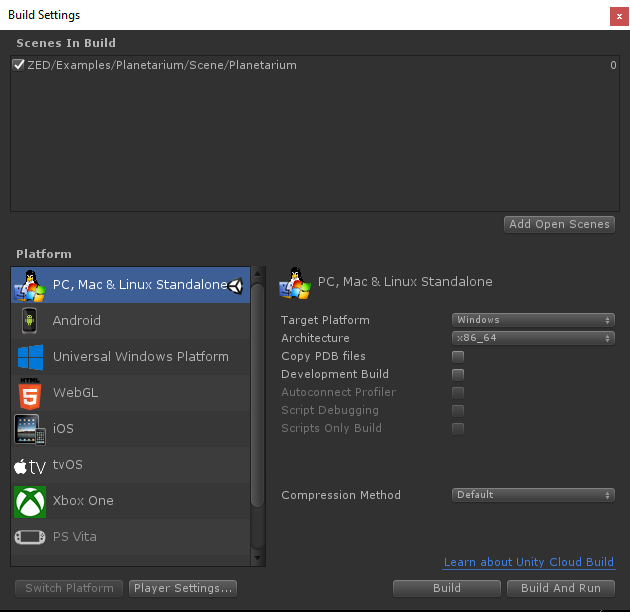 If you’ve imported the Oculus Integration or SteamVR Unity plugins to your project, then the checkbox should be already enabled. Your application will initialize and enable VR devices in the same order as the Virtual Reality SDKs list. Go to Settings > General and allow Unknown Sources.